Super Bowl Sunday was just as important as any other holiday in the Foley house. Lots of food, LOTS of drink and lots of gambling! I have tried to re-live that experience in the years since we moved to LA but it’s never been quite the same. On the contrary, getting folk to gamble with me has had me feelin’ like the dope man! Like, “hey, you want in on this, bruh?” All side eyed like a pusher! Any way, the food and drink are still in high demand. So, I’ll shift my focus there! 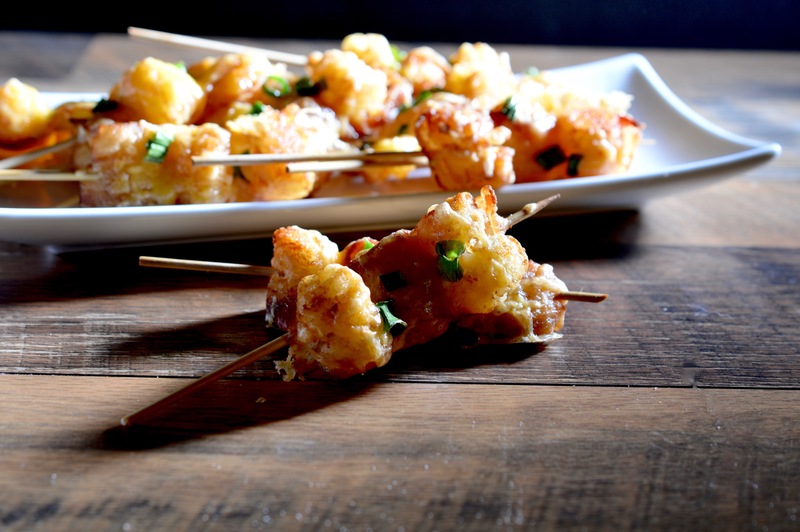 These tasty “kabobs” are basically fat on a stick… but gooooo-ooood fat. They are pretty easy to make and will def be a crowd pleaser. 1 bag of tater tots, defrosted. If they are frozen, they will break apart on you. 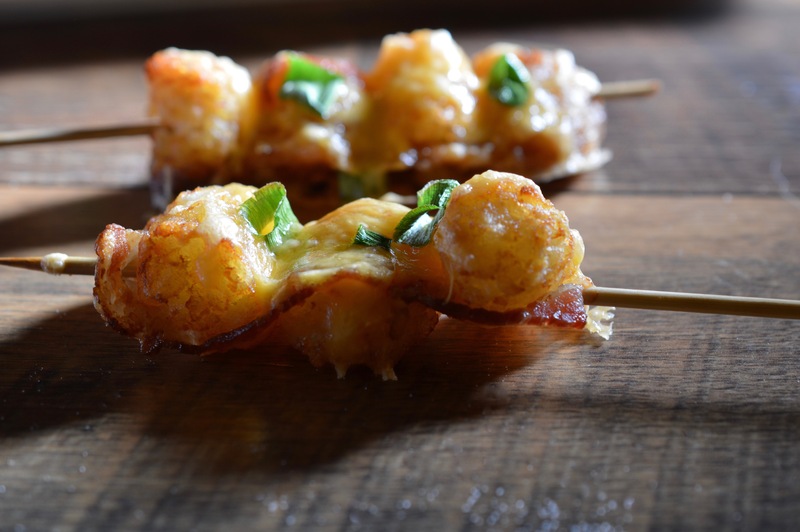 Start by threading the end of a bacon slice onto a short skewer, followed by a tot, fold bacon back over tot and repeat until you have threaded the bacon between three tots. 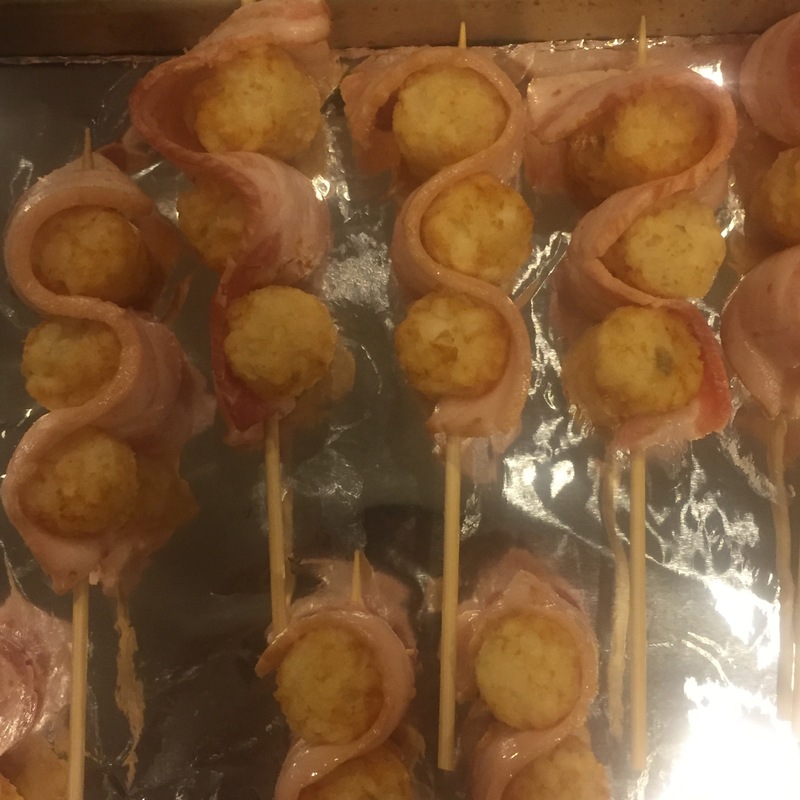 Once your tots and bacon are all on skewers, arrange them on a foil lined baking sheet. Bake in a 425 degree oven for 15 minutes or until bacon begins to crisp. 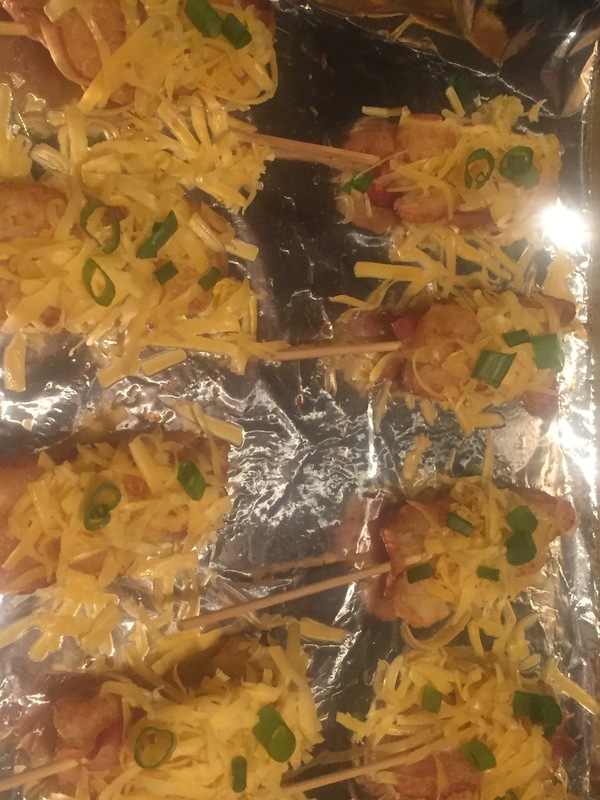 Sprinkle the shredded cheese over each skewer followed by the green onions and return to the oven for 5 minutes or until cheese is melted and bubbling.